The CON-TROL-CURE® UV 100 MINI CONVEYOR CURE SYSTEM is a benchtop system housed within a powder coated steel enclosure. The rugged construction and intelligent design provide excellent solvent resistance and long-term durability. The UV 100 is a component system designed for general UV bench testing and for smaller production applications including electronic components, plastic cards, CD/DVD replication, panels and signs. It is an ideal addition to the small shop utilizing UV technology. The 8'' effective cure area has variable curing power ranging from 125 to 300W/in (400W/in available) with a quick adjustment light guard and focus to 1.25". It has a 10" in-feed and exit area for easy part handling. The UV 100 irradiator is constructed of anodized aluminum and stainless steel. The irradiator opens quickly for lamp inspection and replacement. The hard-wired lamp system will not corrode or arc. The system also utilizes a separate forced air cooling of substrate and the UV irradiator. Versatile, compact and easy to use, the UV 100 weighs 150 lbs and measures only 32"L x 28"W x 18"H. It arrives ready to be mounted on your bench top and put to work. Each 220V unit delivers up to 300W/in. 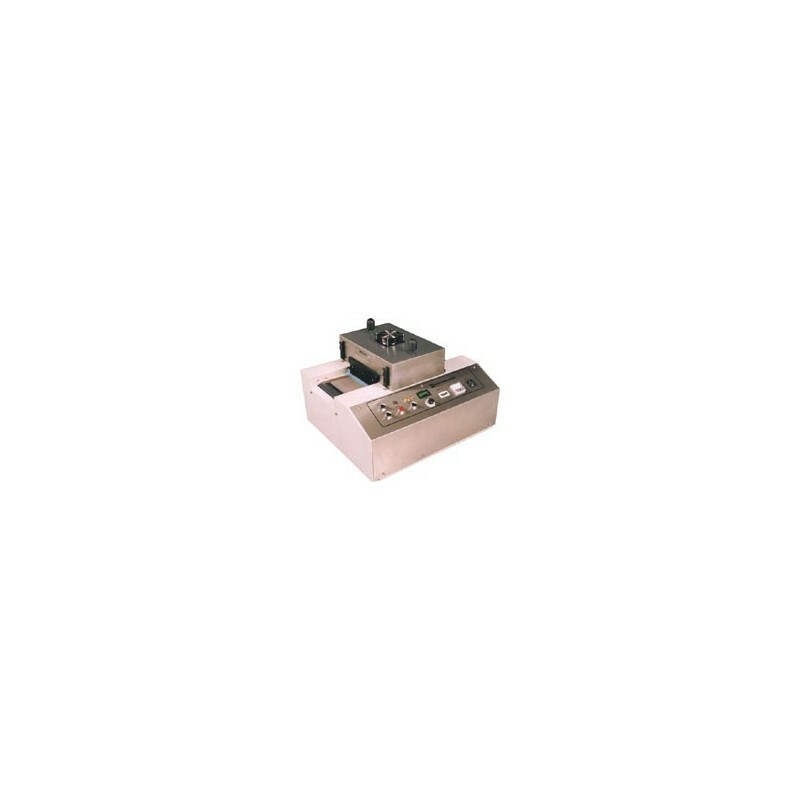 The system features separate main and lamp power switches, panel-mounted hour meter for lamp replacement indication, and ammeter for circuit strength indication. 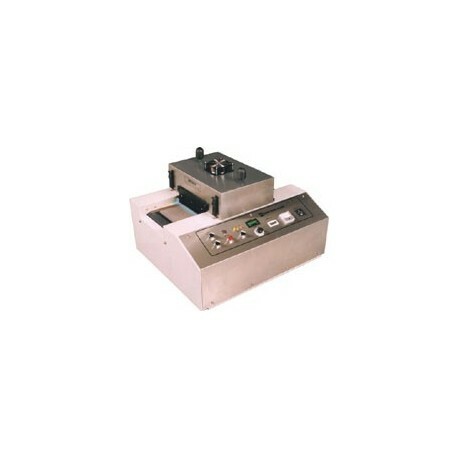 Perfect for small applications such as circuitry, replication, labeling, etc.